Is there any luxury material that is quite as versatile as leather? Even something as subtle as a belt or a handbag can boost your outfit to the next level and make you feel like you just stepped off the pages of a magazine. One company that truly understands this appeal is Canada’s own Brave Leather. 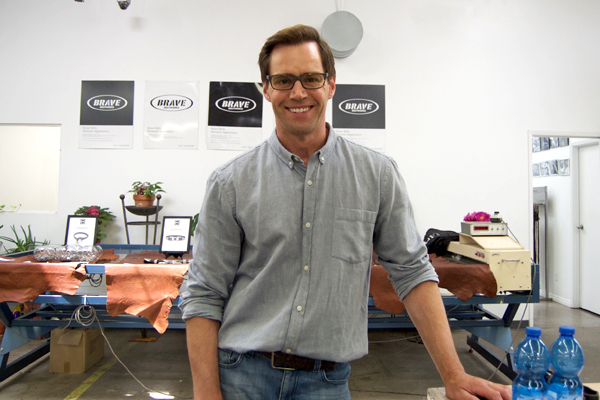 The company has been around since 1992, back when founder and designer Scott Irvine was selling his products on the streets of Toronto without a vendor’s license (an adventure that became the inspiration for the name of the company). Today, Brave Leather offers made-to- order items through their online store, as well as products that are available in many high-end retail stores like Mendocino and Anthropologie. 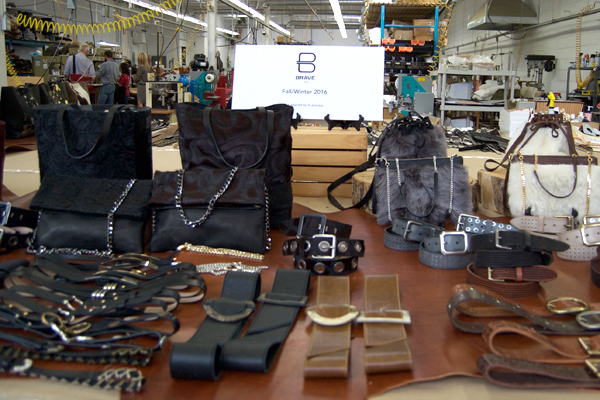 Brave Leather recently hosted a DIY leather party at the North York facility where all of their products are made. Shortly after arriving, we had to make the very difficult decision of which product we wanted to make. 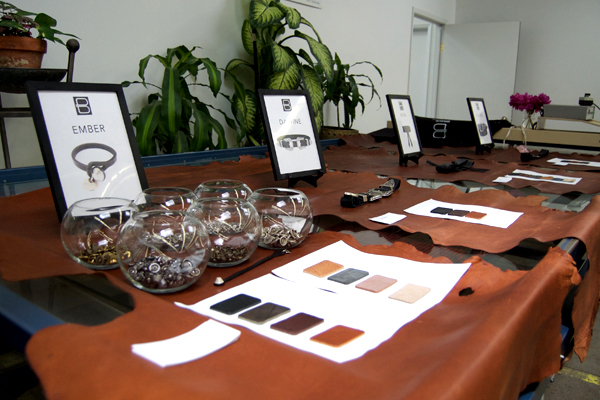 The choices were between four different styles of belts or a leather bracelet. While I was torn between the Japanese-inspired Nida or the Western-style Daphne, I decided to go with the latter. The double buckles make a huge statement – it’s no wonder that this style of belt is super popular with fashion bloggers and supermodels! 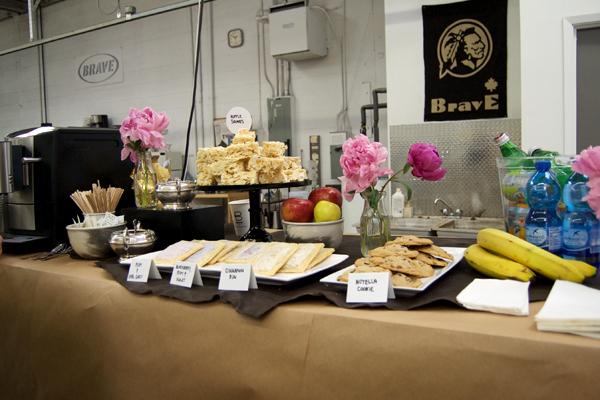 Before getting started on our DIY projects, we were treated to an array of goodies from Toronto’s own Bake Shoppe. There were a few flavours of gourmet pop tarts, ruffles marshmallow squares, and my personal favourite, Nutella chocolate chip cookies. If the smell of leather wasn’t enough to make the experience feel luxurious, these sweet treats certainly put it over the top! Making the actual belt was a lot less complicated than I feared. 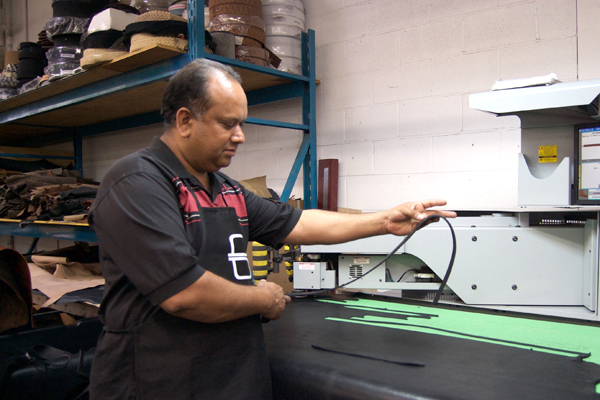 The first step was to use their custom machinery to cut out the shape of the belt from a piece of leather. I was nervous at first but it turns out it’s as simple as a few clicks of the mouse. 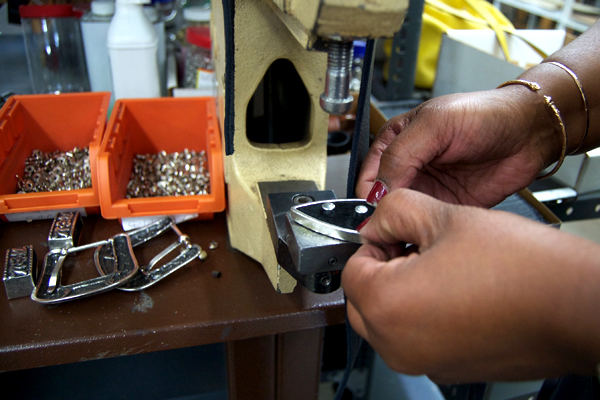 And just to be on the safe side, we had Billy the expert belt maker to help us through the experience. 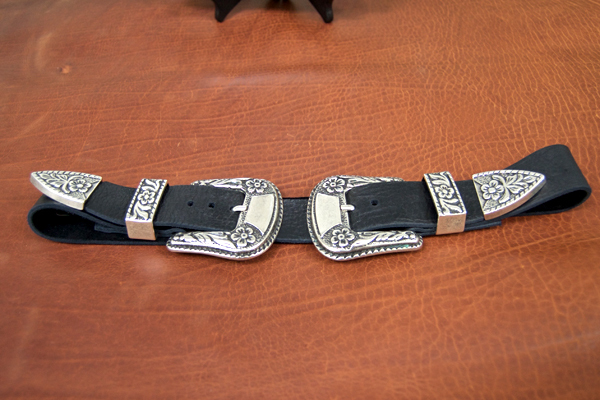 Step two was to add the hardware, including the Italian-made buckles. And that’s all it took! I now have a couture belt that I got to help make, and it came out pretty great if I do say so myself. I even got the approval of Scott himself! 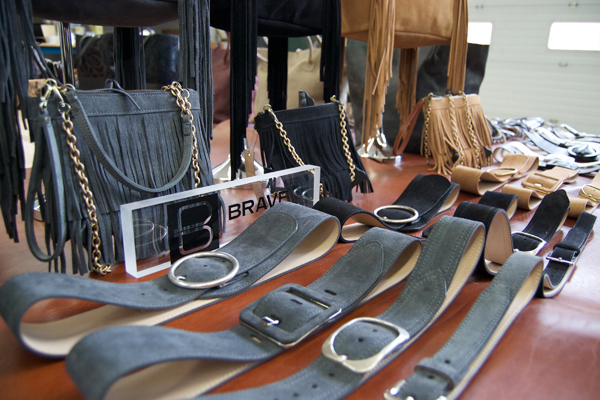 Before leaving we got to take a sneak peek at the upcoming Brave fall line, which includes belts, handbags and even some necklaces and bracelets, all made from top of the line vegetable tanned leather. The styles ranged from over the top, like the corset-inspired belts to subtle, like their super trendy choker necklaces. It was all I could do not to walk out of there with one of everything! If you want to learn more about Brave Leather, purchase one of their pieces (or buy me a present) check them out online.